40 - £81.99 Only 4 left! 42 - £81.99 Only 5 left! 44 - £81.99 Only 7 left! 46 - £81.99 Only 2 left! 48 - £81.99 Only 2 left! You know what we really love? A man who’s not afraid to wear pink! 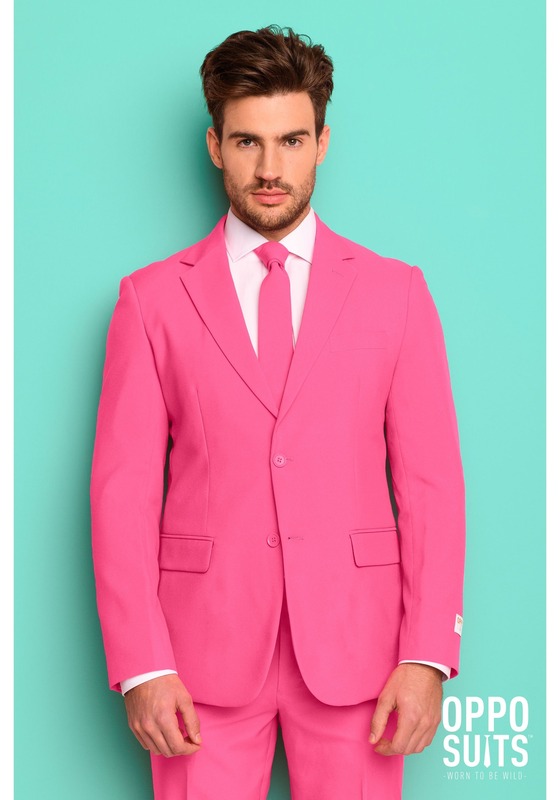 If you don’t believe us, you should check our browsing history; we’ve been known to do internet searches for “celebrity men pink” and just stare at those daring A-listers rocking pink like it’s their job. Now it’s your turn! 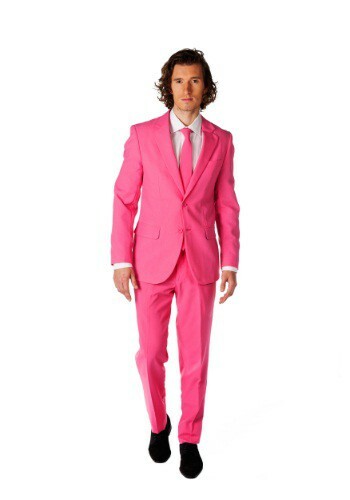 Show off your fearless and feisty spirit this season by crafting a costume around this punchy pink suit. Don’t worry, we’re here to help you brainstorm some potential costume ideas to play off this look. Regardless what option you pick, you’re guaranteed to be an attention getter at any Halloween bash! You could go as: the Pink Panther, a bottle of Pepto Bismol, a pink crayon, the CEO of Pink, Inc. (yep, we made that one up!) or (and this is our personal favorite) try this on for size: when people ask, “what are you dressed as?” You can simply respond, “a man who’s not afraid to break gender stereotypes.” We bet you’ll make a few new friends with that one! 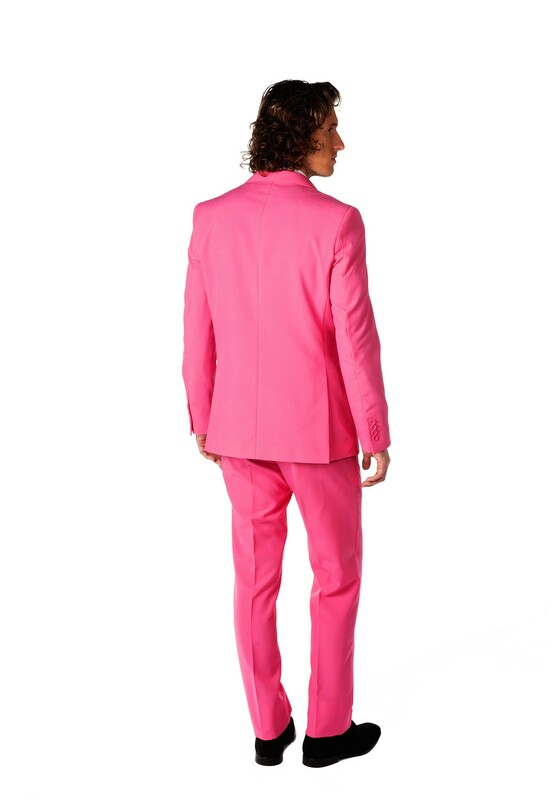 The beauty of this Men’s Opposuits Pink Suit is that it can be as bold or as classy or as humorous as you want to make it. This three-piece ensemble features a two-button jacket, pocketed pants, and even a matching pink tie, all in a sleek, modern cut you love; you can feel impeccable even while trying to make a stylish statement.